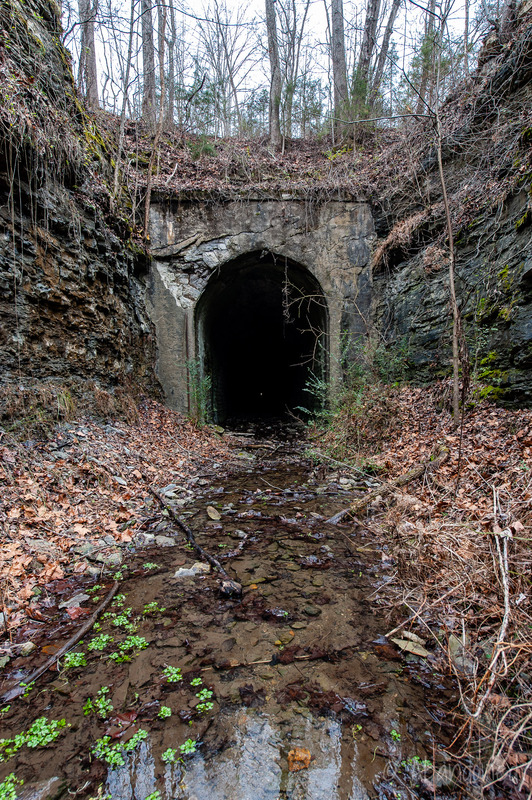 The Cincinnati Southern Railway contains numerous bypassed tunnels and bridges along the “Rathole” between Cincinnati, Ohio and Chattanooga, Tennessee. The Cincinnati, New Orleans and Texas Pacific Railway (CNO&TP) is a railroad that runs from Cincinnati, Ohio south to Chattanooga, Tennessee. The railroad it operates, the Cincinnati Southern Railway, was constructed to Chattanooga and is owned by the city of Cincinnati and leased to the CNO&TP under a long-term agreement. Norfolk Southern is the operator of the CNO&TP. The construction of the Cincinnati Southern was spurred by a shift of shipping preferences along the Ohio River, which at the time was the preferred mode of freight transport in Cincinnati. To remain competitive, the city formulated plans to develop its own railroad in 1835. 2 The city sent a delegation to the Great Southwestern Railroad Convention in July 1836, but the financial panic a year later put a stop to the project. Additionally, the Ohio Constitution was amended in 1851 to prevent cities from forming a partnership with a stock corporation, which prevented the city from constructing the railroad. In 1859, an attempt was made at raising a $1 million cash bonus from private entrepreneurs to be awarded to the Cincinnati, Lexington & East Tennessee Railroad in exchange for establishing a route east to Knoxville, Tennessee. 3 The Civil War halted any development of the proposal. During the Civil War, General Burnside offered a plan to establish a military railroad to the south, which received a recommendation from President Lincoln to Congress in December 1861. 3 Surveys were made but nothing further came about. With the passage of the constitutional amendment in 1851, Cincinnati proposed constructing and owning the railroad outright. 2 This proposition, by Edward A. Ferguson, was proposed in 1868, passing on May 4, 1869. 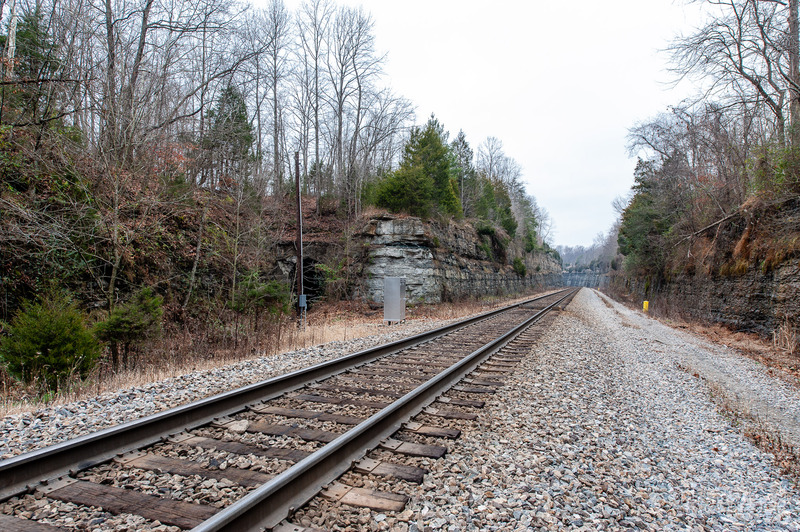 On June 4, the city council adopted a resolution designating Chattanooga as the southern terminus of the Cincinnati Southern. 3 The citizens voted overwhelmingly on June 26 in favor of a $10 million municipal bond issue to begin construction. 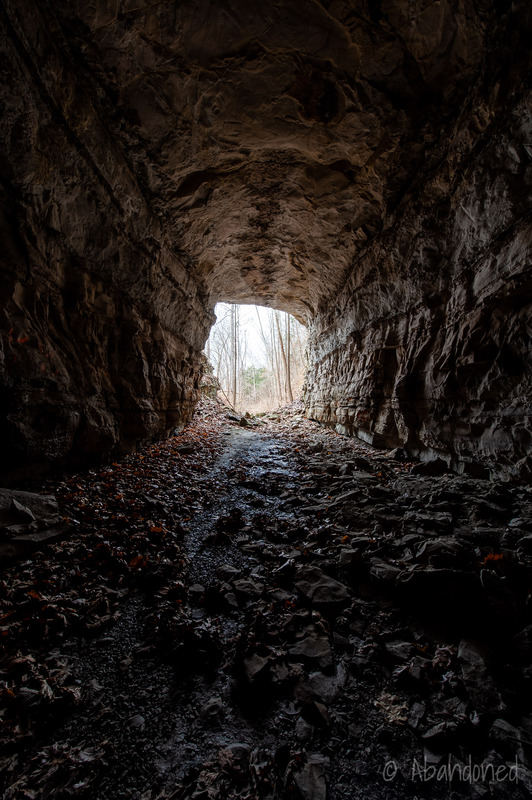 The first contract for excavation was awarded on December 12, 1873, for $5,000 for a tunnel at King’s Mountain in Kentucky. 3 Construction began a few days later on December 23. 4 By May 1875, the initial $10 million bonds had been exhausted and the city requested an additional $6 million from the citizens on March 14, 1876. 3 The measure passed. On July 23, 1877, trains began using the completed Cincinnati Southern from Ludlow, Kentucky to Somerset. 3 But funding was once again tight, and the city requested an additional $2 million. Public opposition to the project was growing, and voters were concerned that the latest request would not be enough. The measure, once widely supported, was defeated on May 3, 1878, by a slim margin. Another vote was taken on August 14, but this time a strict requirement was added that the railroad could not exceed $2 million. The measure passed. The First District, from Cincinnati to Danville, Kentucky. The Second District, from Danville to Oakdale, Tennessee. The Third District, from Oakdale to Chattanooga. Tunnel no. 1 south of Wilmore. Tunnel no. 2 at King’s Mountain, which was 3,992-feet long. Tunnel no. 3 and 4 at Burnside. Tunnel no. 5 north of Sloans Valley. Tunnel no. 6, the shortest at 189 feet. Tunnel no. 7 and 8 near Greenwood. Tunnel no. 22, 23 and 24 at Nemo. Tunnel no. 25 and 26 at Oakdale. 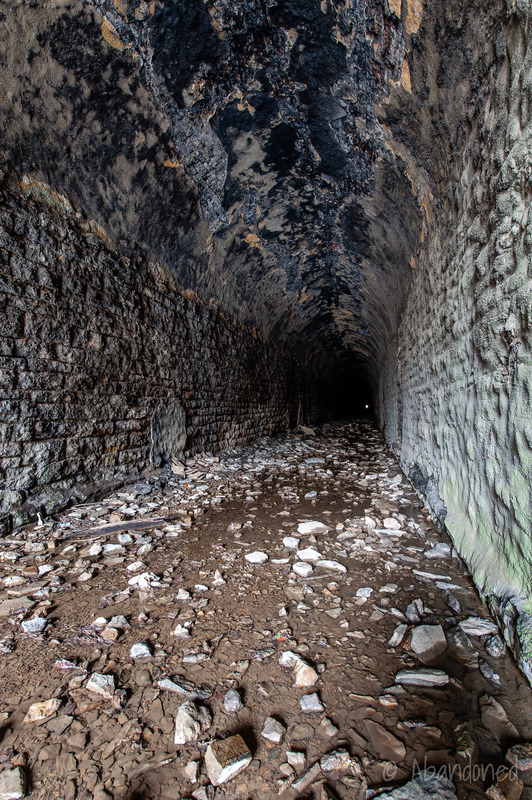 Under the CNO&TP lease, the tunnels that were timber-lined were required to be relined with stone and brick. 4 Those that were through solid rock, such as limestone, did not need to be lined. 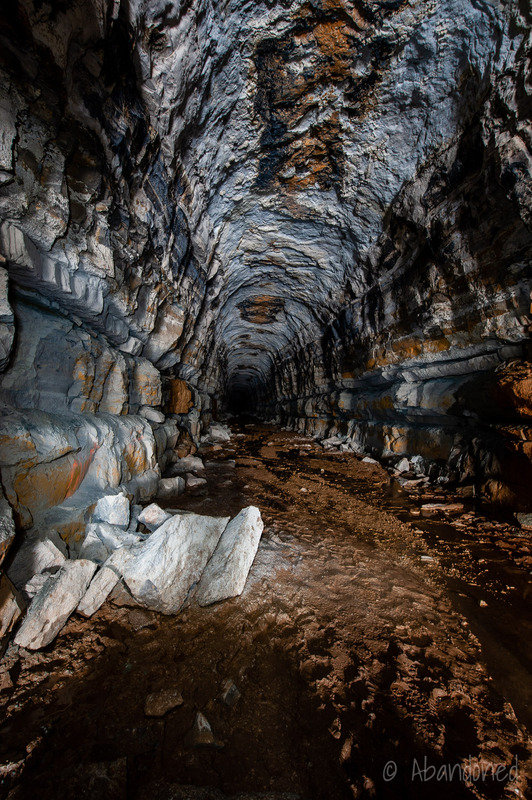 By the end of 1884, two tunnels had been relined with stone and brick and five others had been partially finished. Work continued over the next eight years until 16 tunnels were either complete or unfinished. The Cincinnati Southern was a financial success. In 1925, the CNO&TP moved 1,688 million ton-miles of revenue freight on 388 miles. By 1967, that had increased to 4,116 million ton-miles on 337 miles. Revenue passenger-miles, however, declined from a peak of 134 million in 1925 to just 15 million by 1967. It’s success led to various companies to try to acquire the Cincinnati Southern. The first attempt was by the Southwestern Construction Company in 1896, although the citizens of Cincinnati defeated that proposal by just 338 votes. 3 The CNO&TP lease, set to expire in 1906, was extended on November 5, 1901. Initial reconstruction efforts of the Cincinnati Southern was brought about because of the tunnel lining efforts. 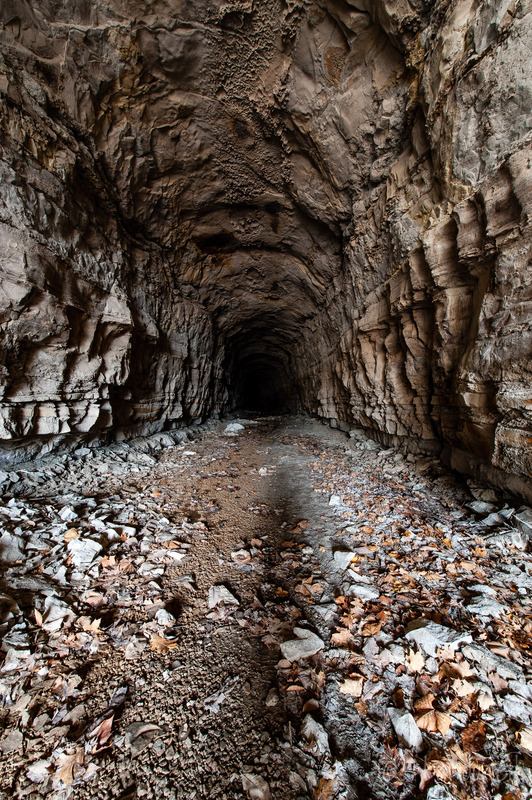 By 1901, four tunnels remained to be relined, but two of those were removed instead. 4 Tunnel no. 6, near Alpine, was the shortest on the line at 189 feet and was daylighted. Masonry lining for tunnel no. 27 proved impractical and a bypass was constructed from 1902 until 1904. Two other short tunnels were removed in 1907. 4 Tunnel no. 10, at 270 feet, was daylighted and tunnel no. 19, at 360 feet, was bypassed. Double tracking efforts began in 1919 and 1920 which led to the removal of many tunnels. 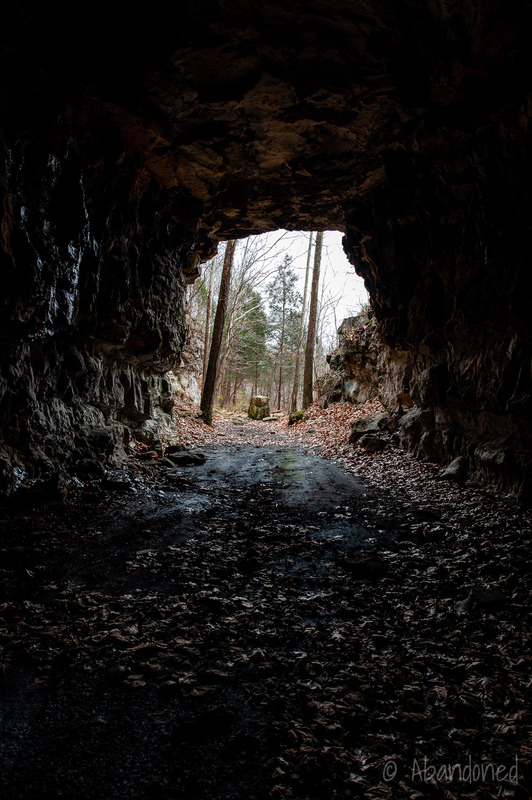 4 The completion of 17.5 miles of double track in the fall of 1920 led to tunnel nos. 13, 14, 17, 18, 20 and 21 being bypassed. Tunnel no. 16 at Huffman carried southbound traffic only while a cut was provided for northbound traffic. Tunnel no. 1 near Wilmore was removed in 1930 when the track was twinned. In constructing the new bridge, the builders relocated the line to bring it to the north bank of the Cumberland River through an 82 foot deep cut in solid rock. As a result, when the new line went into service on August 3, 1950, tunnels 3 and 4 were permanently abandoned. Nine tunnels, nos. 2, 5, 7, 8, 9, 11, 12, 15 and 23, were bypassed by line changes that totaled 25 miles of new track. Three of the tunnels, no. 22 and 24 at Nemo, Tennessee, and no. 26 at Oakdale, were bypassed with three new tunnels. 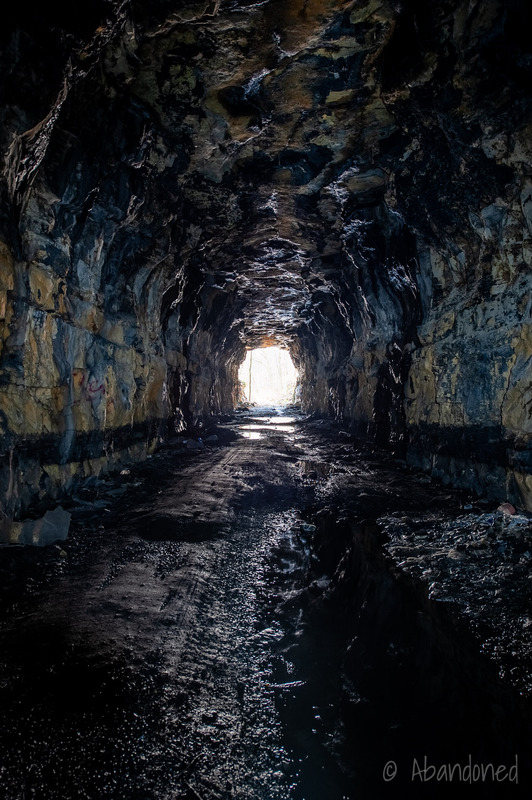 The new tunnels were 20-feet wide and 30-feet high. One tunnel, no. 25 at Oakdale, Tennessee, was enlarged. Project 1 removed tunnel no. 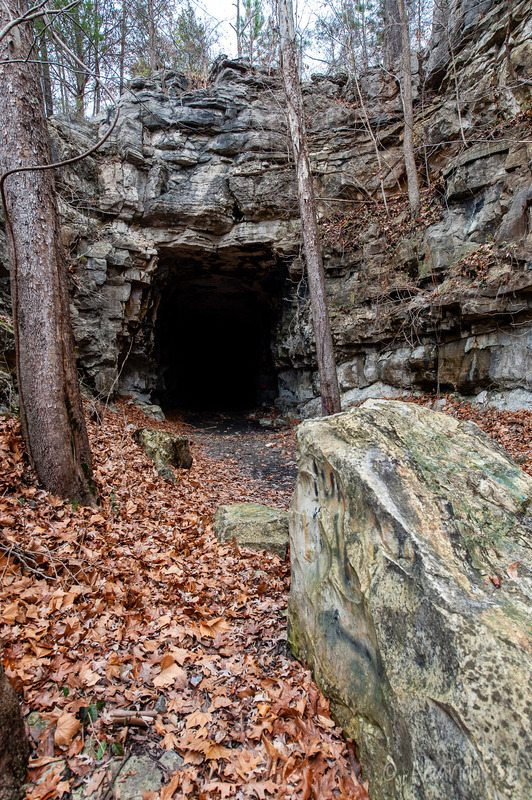 2 at King’s Mountain, Kentucky with a cut that was at most 140-feet deep. Project 2 removed tunnel no. 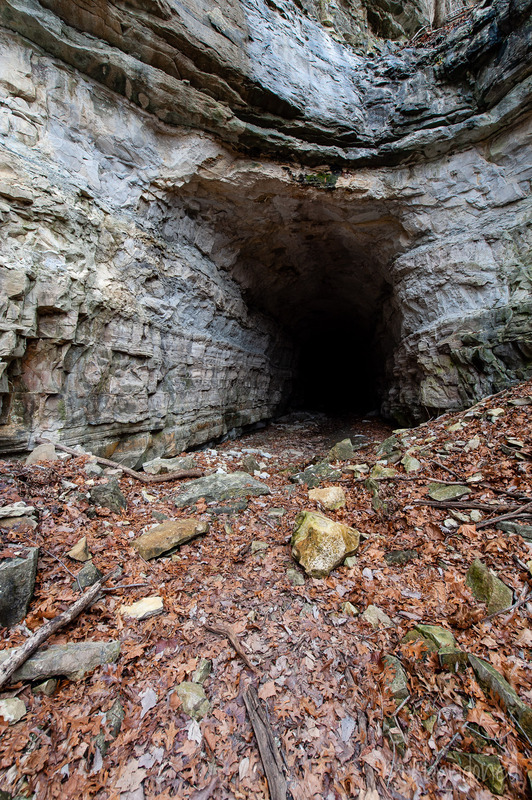 5, 6, 7 and 8 with fills as high as 215 feet and cuts as deep as 160 feet between Tateville and Greenwood, Kentucky. 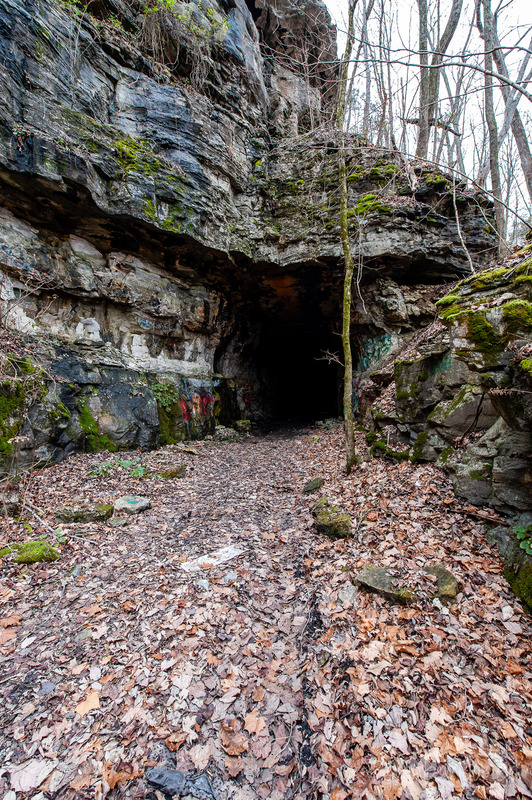 Project 3 included the removal of a tunnel at Parkers Lake, Kentucky and the realignment of track from Parkers Lake to Wiborg. 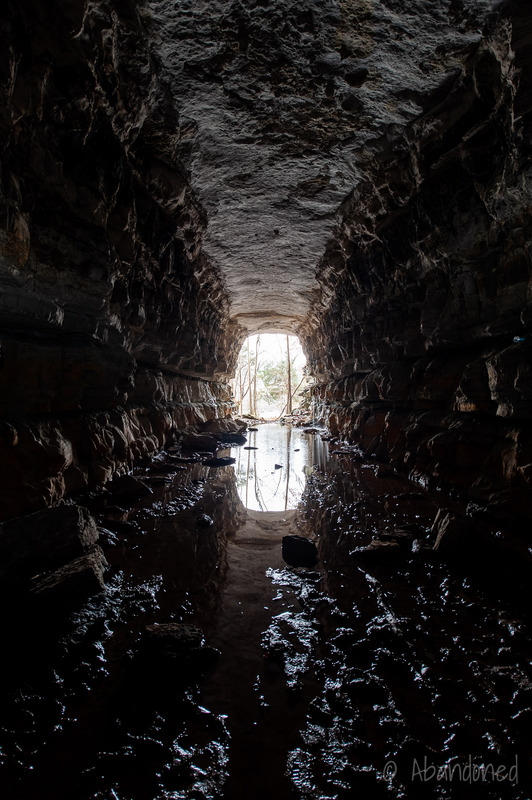 The largest fill was 116 feet cuts as deep as 150 feet. Project 4 included the construction of a new bridge over the New River at Helenwood, Tennessee. The new 1,618-foot bridge, 307.5 feet high, opened on July 10, 1963. 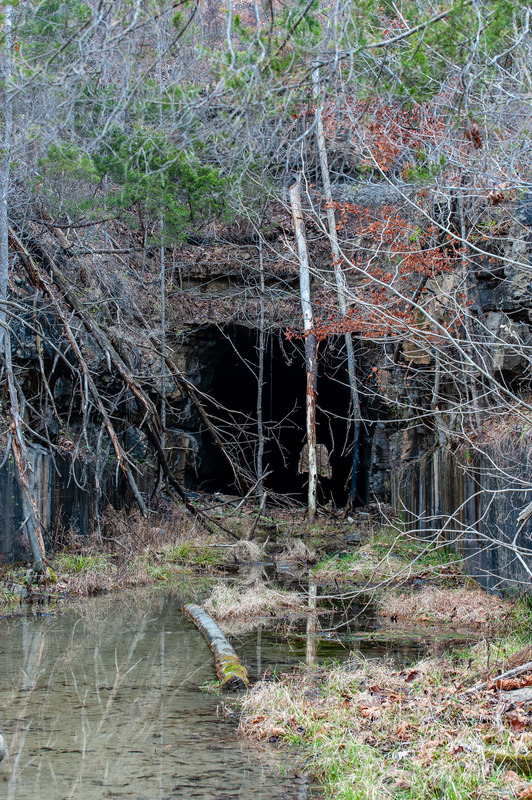 Project 5, from Lancing to Nemo, Tennessee, included a new tunnel no. 22, 23 and 24. Project 6 included the enlargement of the tunnel no. 25 and the construction of a new tunnel no. 26 at Oakdale. Tipton, Rick. “The PRR in Cincinnati.” The Pennsylvania Railroad in Cincinnati. By Rick Tipton and Chuck Blardone. Altoona: Pennsylvania Railroad Technical and Historical Society, 2004. 3-103. “The Birth of an Idea.” Cincinnati Southern Railway. N.p., n.d. Web. 14 Dec. 2014. Article. “Historical Timeline.” Cincinnati Southern Railway. N.p., n.d. Web. 14 Dec. 2014. Article. “90 Years to ‘Daylight. '” Ties Aug. 1963: n. pag. Print. Ties Oct. 1951: cover. Print. “New Cumberland River Bridge. '” Ties Sept. 1950: n. pag. Print. Looking for information on 1891 railroad depot constructed in Cincinnati and dropped off on rail line in Glen Alice, TN, Main purpose to pick up peaches. Was abandoned in 1050’s and sold. Do you have a suggestion as to finding more information and a picture of the original building.